(RNS) — Three years ago the so-called Islamic State destroyed the mosque at the site of what many Muslims believe to be the tomb of Jonah, which for centuries drew Muslim and Christian pilgrims to Iraq’s second-largest city. 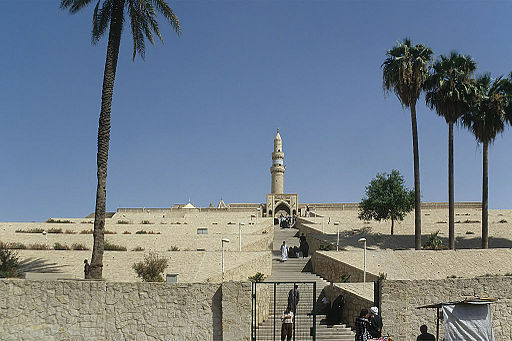 The mosque of the Prophet Younis, or Jonah, in Mosul, Iraq, prior to its detruction by militants who overran the city in June 2014 and imposed their harsh interpretation of Islamic law. Fear, anger and sadness were palpable across Mosul on July 26, 2014, as rumors made their way across Iraq’s second-largest city. The militants who had taken over and purged it of some of its most cherished landmarks were eyeing their next target: al-Hadba minaret, an 842-year-old tower that leans, like Italy’s Tower of Pisa. The minaret is one of the country’s most famous structures and decorates the 10,000 dinar bill until today. (Roland Unger CC BY-SA 3.0 via Wikimedia Commons)Now that ISIS has been driven from Mosul, Muslim traditionalists say it is imperative to start reconstructing the Mosque of the Prophet Jonah, which had marked the site since the 12th century, along with the ruins of a seventh-century Christian church. But archaeologists are asking those lobbying for an immediate reconstruction to hit the brakes. They first want to excavate the remains of an ancient Assyrian palace that the Islamic State’s destruction has revealed below the demolished mosque. “I’ve never seen something like this in stone at this large size,” said archaeologist Eleanor Robson, chair of the British Institute for the Study of Iraq, referring to the intricately carved blocks decorating the women’s quarters of the palace. The clash between archaeologists keen to excavate the pre-Islamic site, on the one hand, and local Muslim authorities, on the other, is the first but likely not the last battle over the historical legacy of a city recently reclaimed by Iraq from ISIS. (Image: OCHA)Mosul, known as Nineveh under the Assyrians, was the largest city in the world in the seventh century B.C. In the Book of Jonah, part of the Hebrew and Christian Bibles, God spares Nineveh after Jonah persuades its residents to repent of their evil ways. And Jonah — Yunus in Arabic — is revered in Islam. A hadith (Islamic teaching outside the Quran) says “Whoever cannot visit me, let him visit the tomb of my brother Jonah,” notes Muslim Fakhri, a photographer who has lived near the mosque since childhood and captured it in his work. The Islamic militants who blew up the mosque on July 24, 2014, claimed it promoted idolatry. In their thinking, giving special importance to monuments, statues and tombs violates the teachings of Islam. 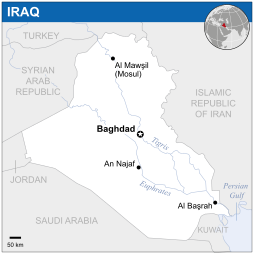 In April, an Iraqi-British team found tunnels under the mosque leading to a palace complex belonging to Assyrian kings. The team members saw stone sculptures of war and fertility gods alongside cuneiform inscriptions dating to 600 B.C. And they discovered a decorative gate to the palace, home to three successive Assyrian kings – Sennacherib, Esarhaddon and Ashurbanipal. Sennacherib is known in the Bible for a series of military campaigns to capture Babylon and Jerusalem. The prospect of excavation, however, worries local Muslim authorities. Layla Saleh, head of the Iraqi government’s cultural heritage department in Nineveh, said negotiations between the archaeologists and the waqf, or Islamic Trust in Mosul that oversees the mosque, have been difficult. “The local religious authority sees the site as if it was theirs only,” Saleh said. The waqf did not respond to requests for comment. 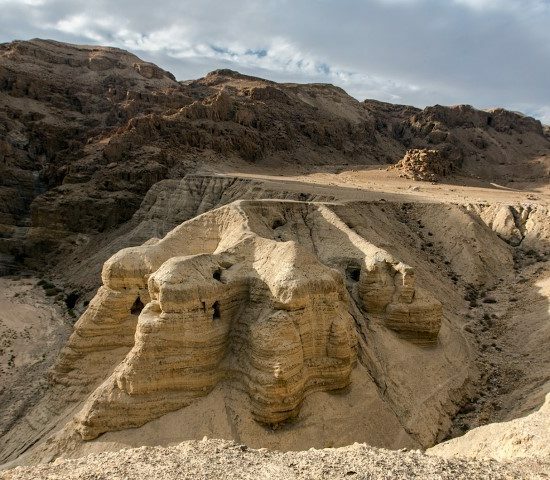 But even those who hope for an excavation of the palace acknowledge that it could adversely affect the Jonah’s tomb, which actually dates from medieval times, and is believed by archaeologists to have been the burial place of a seventh-century Christian patriarch. Muslims later came to believe that it was Jonah’s. The tomb survives directly under the ruins of a modern building and on the same level as the Assyrian palace, according to Robson, who visited the site in April. “It’s only the 1980s concrete building that’s gone,” she said. A full excavation of the palace would necessarily involve exposing the tomb, possibly disassembling parts of it, according to Robson. “Either way, some of the shrine or the palace will be lost,” she acknowledged. Modern archaeology has long found opponents in Mosul’s traditionalist corners. In 1850, the city’s mufti, or religious judge, issued a fatwa demanding English archaeologist and diplomat Sir Henry Austen Layard stop his excavations at the Jonah’s shrine. Layard moved to another site nearby, where he and his Iraqi colleague Hurmozd Rassam discovered the treasure trove of the Ashurbanipal Library that belonged to one of Assyria’s last kings. That archive of thousands of cuneiform tablets documented more than a millennium of Mesopotamian history, including the oldest clay-etched narrative of the deluge story that preceded the account of Noah and the flood in the Bible. Given those past finds, imagine the potential discoveries in the buried palace, said researchers familiar with the site. Still, many want to avoid conflicts over religious issues, especially when war has traumatized so many. “The site does not belong to a certain group. It is evidence of the wide sweep of our city’s history,” said Mosul native Omar Mohammed, a Near East scholar at École Des Hautes Etudes in Paris and a backer of the interfaith, multipurpose plan for the site. The shrine has also long been a site for Christian pilgrimage and prayer. “The tomb most likely belongs to a church patriarch named Hanna Nishu who died in 700,” said historian Hikmet Bashir Al-Aswad, former head of the Mosul Cultural Museum. Before the arrival of the Islamic State group, more than 100,000 Christians lived in Mosul. Faisal Jaber, director of Gilgamesh Center for Antiquities and Heritage Protection, wanted to include that exiled community in the rebuilding plans for Jonah’s shrine. He wanted to build an interdenominational space that would include a mosque and church as well as access to the archaeological treasures underneath.